At the age of six, Joel von Lerber began to take harp lessons at the Music Conservatory of Bern, Switzerland. He was taught by Nathalie Chatelain and Simon Bilger. He began his academic studies in 2009 at the Hochschule für Musik in Basel, Switzerland with Prof. Sarah O’Brien and gained his Bachelor of Arts in Music with honours in June 2012. In September 2012 he took up his studies for Master of Performance at the Zürcher Hochschule der Künste in Zürich, Switzerland with Prof. Sarah O’Brien and gained a Master of Performance with honours in June 2014. In September 2014 he took up studies for Master of Music at Hochschule für Musik Hanns Eisler in Berlin, Germany with Prof. Maria Graf and gained a Master of Music with honours in June 2016. In September 2016 he continued his studies for the concert exam with Prof. Maria Graf and graduated in summer 2018. Joel received additional artistic guidance from different renowned harpists like Prof. Helga Storck, Isabelle Moretti, Jana Bouskova, Xavier de Maistre and from pianist Pavlin Nechev. In 2008, he won the first prize and a special prize at the Swiss Youth Music Competition. In 2011 he was a first prize winner at the International Franz Josef Reinl-Stiftung Harp Contest. In November 2012 he was awarded the highly prestigious grant of the Migros Culture Foundation. In 2013 he won 3 prizes: in June1st prize and Audience Award at the Louis Spohr Competition in Germany, in July 6th Prize at the USA International Harp Competition in Bloomington, IN and in December he won again the highly doted Grant of the Migros Culture Foundation. In February 2014 he won a prestigous grant of DAAD for studies in Berlin, Germany, which has been renewed yearly. In September 2014 he participated in the Golden Harp Competition in St. Petersburg, Russia and won a 3rd prize. In September 2015 he participated in the Michal Spisak International Music Competition in Dabrowa Gornicza (PL) and won a 2nd prize and the special prize from the orchestra. 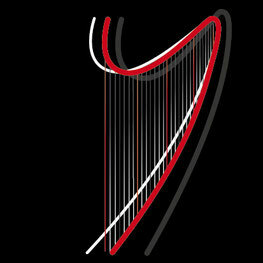 In November 2017 he won the 2nd prize at 5th Mexico International Harp Competition. In November 2018 Joel won the 2nd Prize at the 20th International Harp Contest in Akko, Israel and 2 special awards, one for the best interpretation of Bedrich Smetana´s Moldau and another one for the best interpretation of the Israeli piece "Hed Meruchak" by Joseph Bardanashvili. Joel is a frequent soloist with orchestras in Switzerland and Germany and has played with the State Hermitage Orchestra in St. Petersburg in the Small Philharmony Hall in Russia, with the Mexico City Symphonic Orchestra in the Bellas Artes Palace in Mexico, with the Orchestra Zrbranksa in Poland and with the Haifa Sinfony Orchestra in Israel. He gained additional experience as an orchestra player with the Kammerorchester Bern, with the Musikkollegium Winterthur, with the Schleswig-Holstein Musikfestival Orchestra, with the l'Orchestre de l'Opéra de Rouen, with the Sinfonia Varsovia, with the Rundfunk-Sinfonieorchester Berlin and with musicAeterna under the baton of Teodor Currentzis.